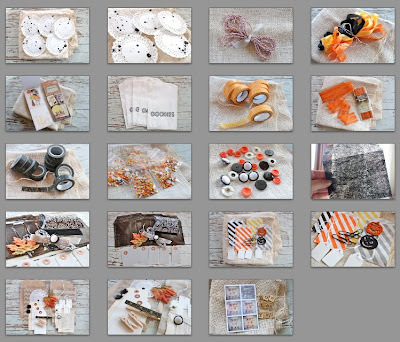 Hi, I'm back again today to add in a little Halloween treat I created using items from the Autumn Basket shop update. 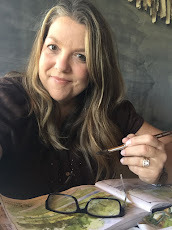 Many of you have placed your orders already today and one thing I'm noticing is that you're mixing and matching the Autumn Basket items with other regular shop items. That is exactly what I love about the expanding collection of my shop items. 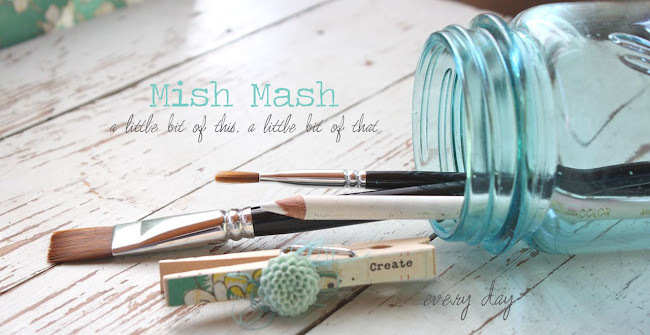 They're all basic staples that can be combined with other shop items to create your own unique creations. 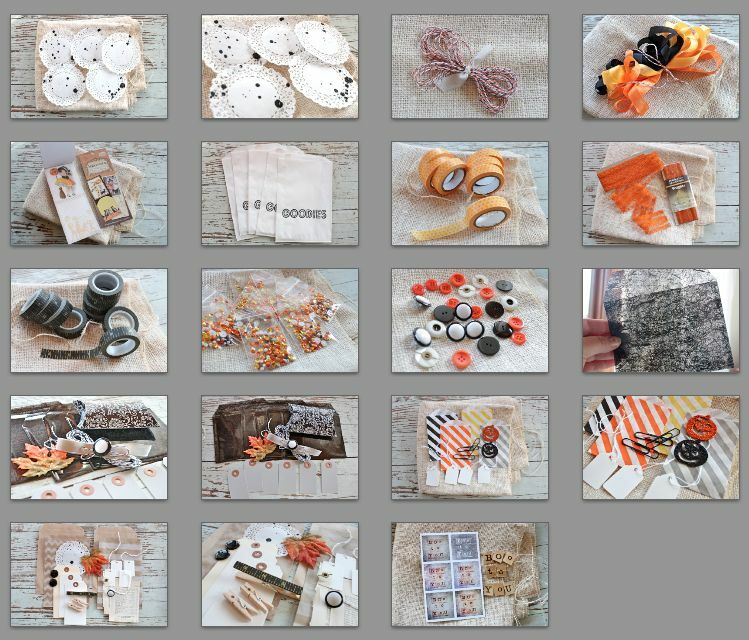 All you need to do is add a few of your own finishing touches such as some fun new Halloween themed patterned paper and a homemade treat. So on with the project. I started out by place a Reese's Halloween treat in a Clear Pillow Box. These boxes are of great, sturdy quality and are perfectly crystal clear. I know I'll be using them well into the Christmas gift giving season. 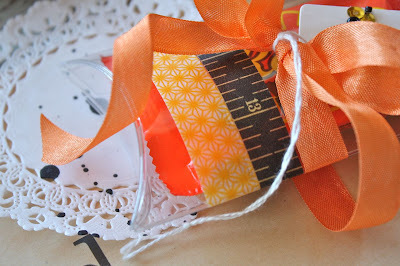 Next I shook out some of the vintage sequins and beads and grabbed a Rectangle Hang Tag. 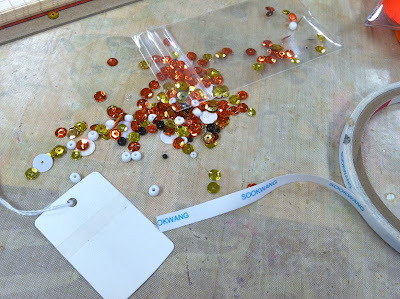 I adhered a strip of double sided tape to the tag and pressed the tag into my little pile of sequins. 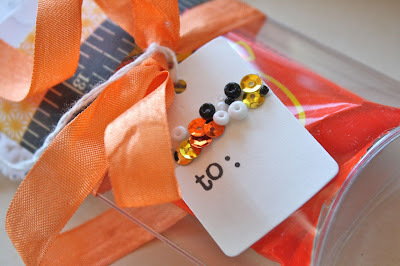 The tape is nice and sticky so it picks up lots of the beads and sequins, leaving a nice dimensional look to the tag. I finished it up with some small alphabet letters. Directly onto the filled pillow box I wrapped a strip of the Black Tape Measure Washi tape and a strip of the Yellow Star Washi tape. 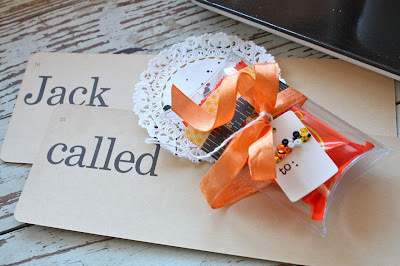 The two colors mix to create fun Halloween look without being too themed looking. I finished off the pillow box with some of the orange seam binding (now sold out) and then tied on my sequin embellished tag. So, so quick and easy. I sat my little treat box on top of a Dripping Doily, the perfect finishing touch if you want to set the little treat at a place setting, on a desk or perhaps on a pillow for your hotel guests.....oh, here comes Jack again. Redrum. And that's it for me today. Hope you enjoy and I'm sure you'll be seeing lots more of my Halloween and Fall creations. I just love this time of year. Off to volleyball! !